Skidmore Bluffs: Bridges don't always go where you think. 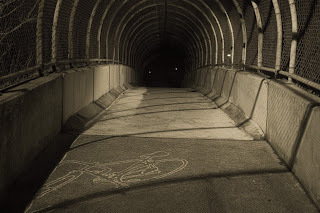 This is beautiful and evocative - is that your bicycle's image? Yea, I leaned it up against the wall and spent about 20 minutes tracing it's shadow.